Alexey Scherbin is the CEO and co-founder of Safinus, a revolutionary platform for investments in cryptocurrencies and ICOs. I’m an IT-Developer and entrepreneur with over 15 years of experience. I successfully founded an IT company called Advanced Online, where we have been developing different IT systems and applications for our clients for over 8 years. Safinus is a platform, where new entrants to the crypto market can join profitable portfolios created by experienced traders and receive a share of their profits. Our mission is to make highly profitable investments in crypto assets available to a broad audience of new entrants while allowing experienced market participants to significantly increase their amount of managed assets, and as a result their profits. 3) What inspired you to launch an Investment platform for ICOs and Cryptocurrencies with Safinus? The idea to make a platform like Safinus was born from me, and our co-founders coming to the conclusion that the crypto market is not very friendly towards newcomers. Many have heard about cryptocurrencies and would like to invest a portion of their funds into them, but understand that this is not so simple to do. It’s necessary to spend a lot of time devoted to studying the technology and market in order to understand which ICOs are worth investing in. The possibilities of experienced crypto investor are also rather limited, there are not enough financial instruments, and commonly. Such investors end up not making enough, considering the fact that their profits are limited to their own individual funds. 4) What makes the Safinus ICO different from the others? We believe that our platform will open up new possibilities for cryptocurrency and interesting ICO project investments. Thereby simplifying matters for crypto market newcomers and experienced investors. 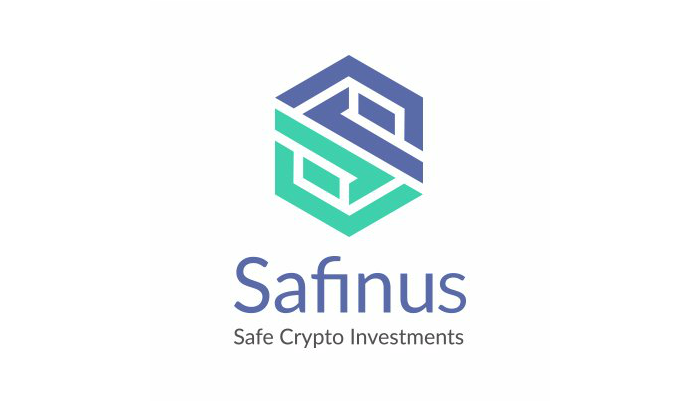 Safinus will make a significant contribution to the development of the crypto industry and will help facilitate the entry of the masses into the crypto market. 5) What were some of the biggest challenges you encountered while working to launch your ICO? Naturally, there is no lack of issues when you are in the process of working on a global project, especially since everything is quite new and there are very few professionals in the market that can actually help. But, all issues are solvable, and I am sure that our team will be able to handle all challenges. 6) How much do you intend to raise in the SAF Token Sale and Why would Safinus increase in Equity and Value and how can SAF Token holders Profit if they invest now? The Hard Cap of Safinus is $16 млн. First and foremost, Safinus project tokens (SAF) are utility tokens. They will be used to pay internal platform commissions. Kind of analogous to the Binance exchange tokens (BNS). Thus, all investors that want to invest through the platform (trade on the platforms internal exchange, create their own portfolio, and manage newcomer investor funds) will need to be in possession of SAF tokens. During the token sale, we will provide the opportunity to acquire tokens at a discount. Also, our Whitelist is open, which will allow token buyers to receive additional bonuses during our ICO. 7) What are the steps for investing in SAF Tokens? Wait until the start of the token sale on May 2, 2018. And transfer a sum with which you plan on acquiring SAF tokens, using either ETH or BTC to the provided smart contract address on your profile page. 8) Where do you see Safinus after the ICO and in the next 5 years? I see Safinus as one of the most ambitious and well-known platforms through which professionals of the crypto market operate. And as the sole solution for all newcomers which do not plan to spend their personal time on figuring the market out, but at the same time want to invest in cryptocurrencies and make profits. 9) What are your marketing and sales strategies to achieve that? 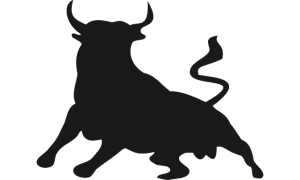 After the ICO, we plan on holding a massive marketing campaigned that is focused on attracting crypto market newcomers to the platform, and continue working with experienced crypto investors and crypto funds. We will also consistently work to increase Safinus brand awareness. 10) Could you tell us a little about your team and customer support? 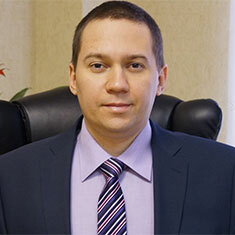 Our team is composed of young, but experienced and enthusiastic professionals in launching new projects. We are all burning with passion towards are project and are constantly thinking about how we can evolve it. Our community manager, Olga, is always available, even on weekends and holidays, and she is always ready to answer any questions and support a conversation in our Telegram chat. 11) Would you like to talk about your legal and security measures? Our token is a utility token. But, regardless, we currently refuse to sell it to citizens of the USA. Our lawyer is actively working in this direction, and I hope, that once the tokensale is upon us that we can sell tokens to accredited USA investors. We thank everyone who is already with us and has supported us during our presale, and we hope that our community will grow at an even greater rate. We are always happy to answer any questions in our chat and social media.